As Alice and Umbrella Corporation’s battle is coming to an end with the release of Resident Evil: The Final Chapter in Philippine cinemas on February 1, Columbia Pictures has shared a “rewind” video featurette, explaining everything that's happened so far. 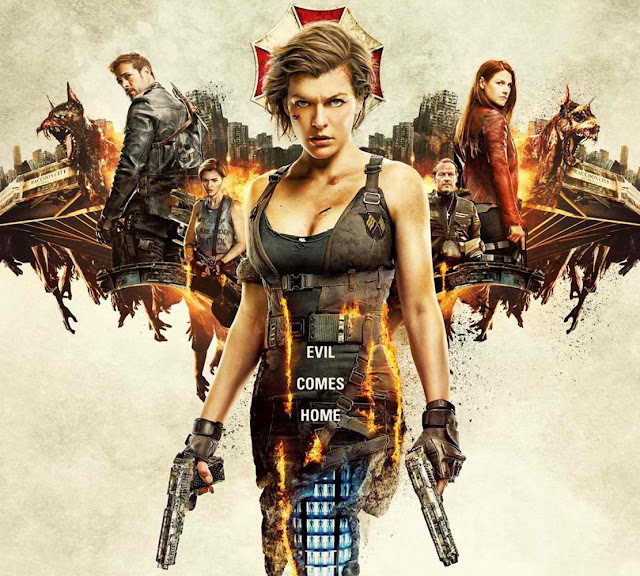 Resident Evil: The Final Chapter picks up immediately after the events in Resident Evil: Retribution, in which Alice (Jovovich) is the only survivor of what was meant to be humanity’s final stand against the undead. Now, she must return to where the nightmare began – The Hive in Raccoon City, where the Umbrella Corporation is gathering its forces for a final strike against the only remaining survivors of the apocalypse. The film also stars Ali Larter (Resident Evil: Afterlife) as Claire Redfield, Iain Glen (Game of Thrones, Resident Evil: Extinction) in the role of Dr. Alexander Isaacs, Shawn Roberts (Resident Evil: Afterlife) as Albert Wesker, Australian actress Ruby Rose (Orange is the New Black) as Abigail, Eoin Macken (The Night Shift) as Doc, Cuban-American actor William Levy, as Christian; Fraser James (Law & Order: UK) as Michael, and Japanese model and TV personality, Rola, as Cobalt. Resident Evil: The Final Chapter is distributed by Columbia Pictures, the local office of Sony Pictures Releasing International.